You have hired too many sous chefs. Everybody told you that you’d use their help and find them to be helpful when it comes to getting dishes out in a quick manner. Well, those people clearly haven’t worked in a kitchen before. Tonight is a big night and you need to make one of your famous soups — one of perfect balance between all of the tastes; sweet, spice, salt, sour, and savoury. What is this chef doing?! 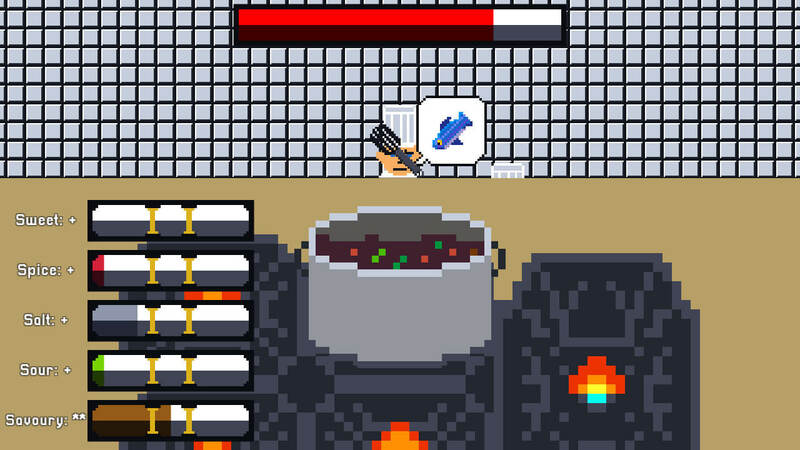 Tossing random items into your soup! No, you do not want fish! 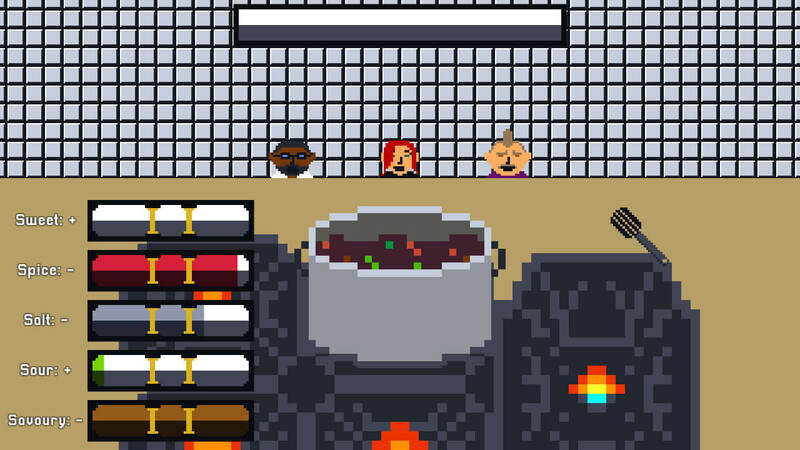 Instead of listening, you need to hit their items back towards the chefs. At first, one pesky annoying sous chef is easy to stop, but you have hired too many cooks. Chocolate?! 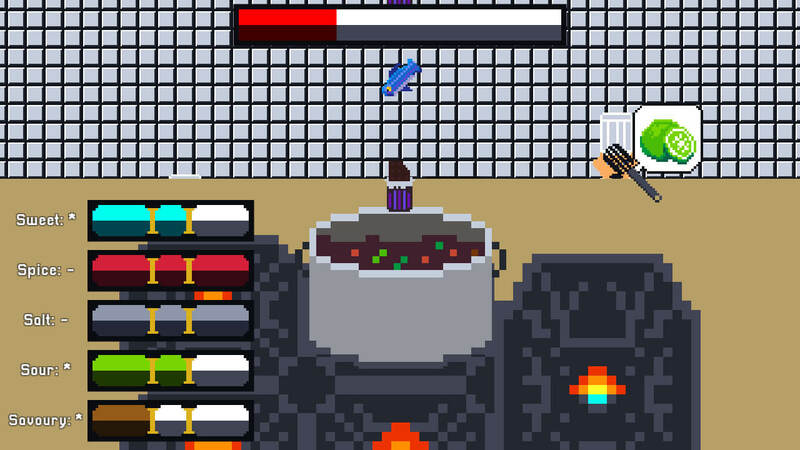 Who is throwing chocolate and fish into the same pot?! Surely this isn’t a good idea, I mean it’s so salty and the soup itself is already too spicy. Maybe adding chocolate isn’t the worst thing. Who knows? This is already a mish mash of flavor. You’ve now got two of your chefs suggesting onion. What is the saying — ‘great minds think alike’? You need to remind them to the second half of that ‘idiots seldom differ’ — but onions are a core part of most dishes, so maybe letting that in would actually help? Before you know it, your cooks have all hidden away and it’s time for the food critics to try whatever you (and your far too many cooks) have created. 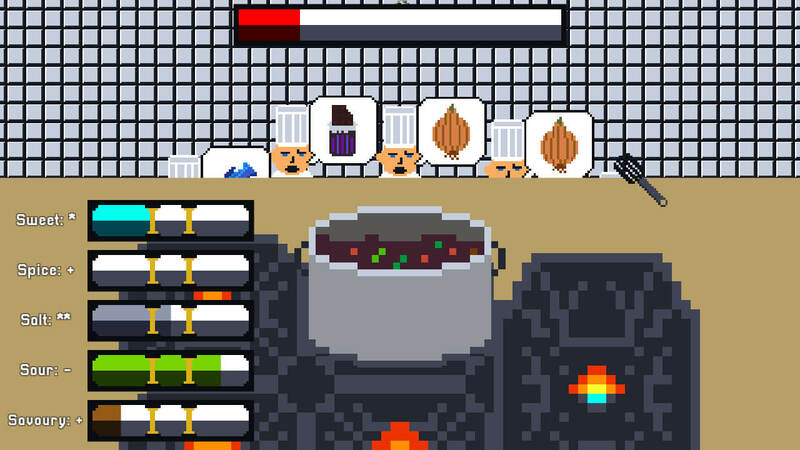 I’d be nervous if I were you — there were a lot of ingredients in that pot. And these are food critics after all. 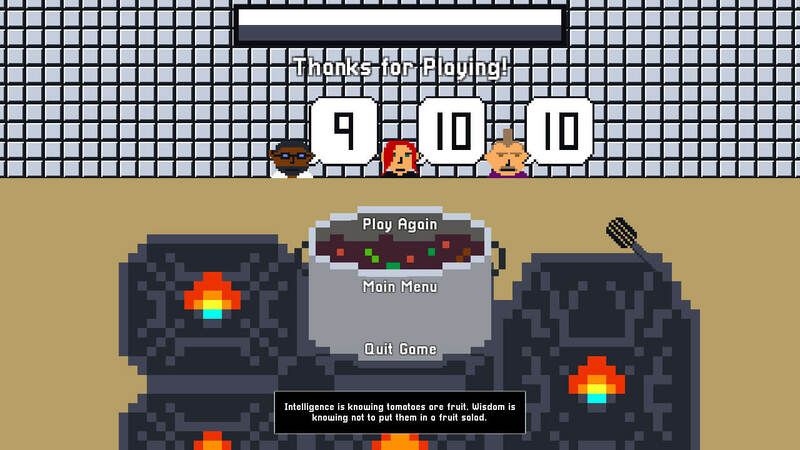 Welp, clearly they like trash as they gave you a very high score for what can only be described as a pot full of literally everything in your kitchen. Go tell your cooks they did a good job, even if you have too many cooks in your kitchen. They might in fact be lucky when it comes to making random pots of guk! See what you end up creating in Too Many Cooks.